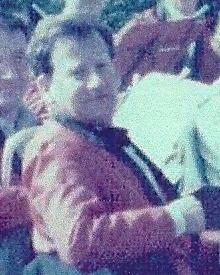 We met sometime around 1973-74 when we, along with Tony Wilson, joined the Driffield Silver Band. The band practices were then held in an upper room in an outbuilding of the Falcon Pub yard. The room, I remember, was accessed by a narrow rickety wooden staircase with virtually no landing into the musty cavern, smelling of old music and brass instruments. The band, at that time, was small and comprised mainly of Driffield town members who had grown up with the band. Mainstays were people like Clive Wiles, Norman Blades, Barry and Jack Yeadon and Charlie Stead. Jack Lomax was in there somewhere but he was really a foreigner because he came from the West Riding!!! I apologize to others I may have missed, but unfortunately memory grows dim. The main luxury of our spartan bandroom was that we were able to leave instruments, music and music stands out because it was totally our domain. I shudder, however, to think of what modern Health and Safety moguls would have thought to our potential firetrap, particularly in winter when we huddled round paraffin or gas stoves. That, with the restricted access, could have easily resulted in fried Silver Band. At the end of the Friday night practice most of the band would retire down to the bar of the Falcon and pass the remainder of the evening with a few pints, a few modestly bawdy jokes, and generally, as we do, put the world to rights. I was soon to discover that Bob had a wicked sense of humour, an explosive infectious laugh and a razor sharp wit. It was also clear however that even in these congenial circumstances Bob had a serious total dedication to teaching youngsters, a great pride in his teaching capability, particularly in terms of preaching the common sense down to earth approach to things. His stories relating to the education of children, particularly at Spiers Bank or latterly teaching music to youngsters proved always to be entertaining. I think that if Bob was to teach today he would struggle with the current obsession with political correctness. The thing that never failed to amaze me was Bob's consummate knowledge about all kinds of things way outside his compass of teaching. He seemed to be able to speak authoritatively on all sorts of obscure items of knowledge that we lesser mortals couldn't even conceive. As with everything Bob did, he did it with total conviction. Sometimes we would wind him up onto his soap box in order to get the full benefit of a more than often comical tirade, normally aimed at the Government, modern teaching methods, etc. In every case much finger wagging, accentuating each salient point would punctuate the torrent of words. I am sure the finger wagging was a pre-cursor to his conducting activities of later years. The Falcon era was to end quite dramatically and quickly with a number of important coincidental events. Firstly we were lucky enough to recruit a bandmaster called Henry Crouch, who motivated the band to better things, which resulted in an influx of new players, and consequently the band room became too small. Whilst we were looking for larger premises the Falcon suddenly became up for sale and it was therefore inevitable that we were going to lose our comfortable little hutch. For a period the band practised at the Driffield School, an arrangement made possible I believe by Bob. It was at this point that George Riggs, owner of the Bell Hotel, stepped into the equation in two ways. Firstly he bought the Falcon and started knocking it down, but more importantly, he provided accommodation for the band, and has done ever since. The Friday night social activities carried on as before, but at the Bell instead of the Falcon. After a period of time I left the band to follow other activities but I would still enjoy meeting Bob, Tony, Steve Moor etc. on Friday nights to chew the fat and keep abreast of the brass band musical scene. As with all bands, the personnel come and go and latterly, so, either by necessity or from choice, Bob had become conductor. This was no mean achievement when you consider that in 1974 neither of us had other than the basic rudiments of music. Bob, in his inimitable ability to absorb knowledge was becoming, as in his other achievements, an authority on music. In contrast I remain exceedingly limited. Whilst conducting and controlling the main band Bob was still instrumental, if you excuse the pun, in furthering the activities of a junior band and encouraging younger players. Whenever I watch the film Brassed Off, I feel that the character of the Band Master played by Peter Popplethwaite must have been based on Bob. He was the one that led the band, inspired the band and made sure they had music, made sure they had stands, cajoled errant players to arrive on time and picked up players who didn't have transport. In general, he was the workhorse, the Mother Hen who kept the band alive and in existence. In spite of being all things to all men Bob had an intensely private side, and at his funeral in one of the largest churches in North Hull, packed to capacity, a tribute to Bob's popularity, I was to learn that Bob wasn't Bob at all but Robin; a thing he had kept quiet for over 20 years. Back in 1981, Bob, who was basically a secondary school teacher in Driffield, spent time at the Junior School introducing youngsters to Brass instruments, largely the cornet. Such was his enthusiasm that he did this voluntarily in his own time during and beyond the school day. When he felt the youngsters had reached a certain level, he encouraged them to come along to Driffield Silver Band rehearsals at the Bell Hotel. The youngsters really appreciated this initiation into adult life! The more senior members of the Band, often encouraged by Bob were very supportive in passing on both their musical tips, and life skills, learning for example that the best way to lubricate a sticking valve was to dip it in your jar of ale (the youngsters were only allowed blackcurrant and water)! Some of us parents recall the summons, when the size of the Silver Band Committee had one time diminished; "Mr Dales says you've got to come to a meeting after rehearsal on Friday." No ambiguity there! While still at the junior schools, Bob frequently organised musical performances as part of the Schools' Concerts at Christmas, when his commitment and sense of humour shone through in choice of music and his natural rapport with both pupils and audience. soprano at unearthly hours of the morning prior to the day's activities. Over time, Bob must have played, and practised at Spiers every instrument in the Band. Apparently the more highly pitched ones were more strident in the mornings ensuring prompt attendance at breakfast! At an open air concert in Hornsea one year, Bob found himself playing the monster bass while seated on a particularly light weight and spindly chair. As the concert progressed, it became apparent that the ground had been subject to prolonged rain in the recent past! It was noted that, as a particularly lengthy and demanding piece was under way, Bob's chair was sinking gradually into the saturated soil; he carried on playing manfully during his ignominious descent- what a man! When Graham Townsend joined the peripatetic music service and was working at Driffield School, he and Bob founded the East Riding Youth Brass Band- their joint enthusiasm had to be experienced to be believed! Pupils from all of the secondary schools in the area were brought together, and their parents encouraged/coerced into forming a supporting committee in charge of fund raising. This group met at the former Youth Centre at Driffield School while the rehearsals were taking place. Committee members were under no illusions as to who was setting the agendas! Bob was always around when the Band went contesting or on tour, abroad too, to Germany, Switzerland & Latvia. Back in the 80s, carolling was one of Bob's annual projects. Groups from the Band -players and parents/collectors would circulate around Driffield and Nafferton (where Bob once told us "A fox has been through this hedge, I can smell it! "), house to house, street by street, sparkling in the frost, struggling in the snow, ably led by Bob; the entire enterprise much appreciated by the community. We fondly remember Bob striding forth as we fought to keep up with him, his energy seemingly undiminished as the evening wore on, his expressive, bushy eyebrows apparently conducting the group while he doubled as conductor and cornet player. Sadly the advent of double glazing, and the impossibility of raising the residents through armour plated doors brought this ritual to conclusion, not with a bang, but a whimper!